As a designer, my objective is to maximize the potential of your space, and by listening to your desires and thinking outside of the box and beyond the boundaries, I will design a space that you did not even dream of. I will create a space that is both functional and aesthetically pleasing. My focus is on the design and mechanics, as a pretty kitchen or bath, that is not functional, becomes a frustration and annoyance, and instead of enjoying your investment, you avoid it. My drawings are produced by using the leading CAD software program in the cabinet industry. These will allow you to visualize your space and see it come to life. I work towards providing you with information that you are able to make informed decisions. I can help provide you with the resources necessary to complete your project. 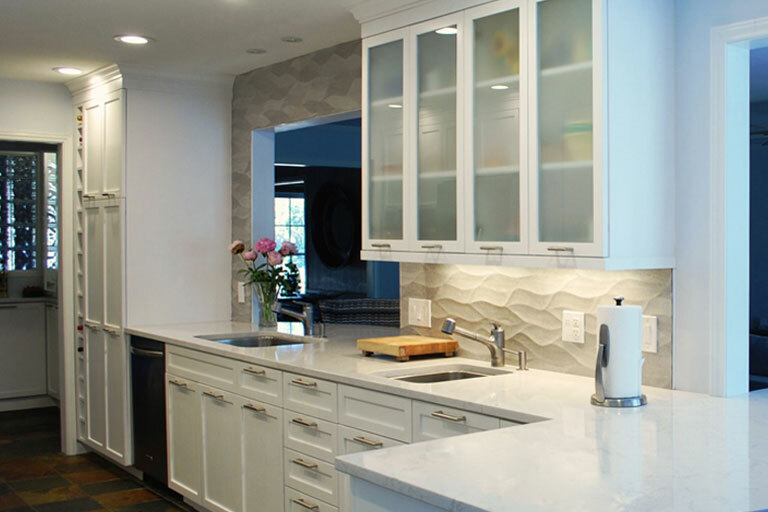 Although, I do not promote or sell specific product lines, I have a broad knowledge and experience of working with quality cabinet lines, surface materials, backsplash material, flooring and appliances. In addition, I have specific vendors that I prefer to work with, whom I know will meet my high expectations and exceed yours. Whether it is exclusively the blue print to your newly designed space, which will enable your contractor to have it built to specification, or the complete turn-key process; I will strive to accommodate your needs. In the case of turn-key; I have a preferred contractor whom I refer you to. We share the same philosophies in cooperation of achieving a common goal, but our companies remain separate.